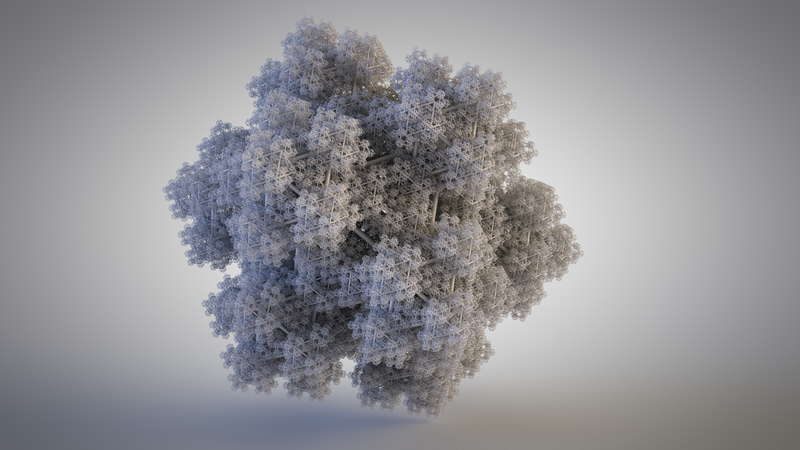 I wanted to see if I could replicate what was originally created in Houdini in Cinema 4d. So first I created a platonic, then cloned another platonic onto the points of the previous clone. I repeated this process until exponentially it grew to the power of 5. The result is what you see here.